Every family should be prepared for a major catastrophe. And while most families have some sort of plan in place for natural disasters like tornadoes, hurricanes, or floods, very few are adequately prepared for asbestos exposure. However, it’s imperative that you understand how to respond. Hundreds of thousands of homes around the country have asbestos lurking behind the drywall and hiding in the insulation. And while it’s typically fine when left undisturbed, things happen, and it’s not uncommon for it to be released. Everyone wants to know what they should do if their home contains asbestos. The best answer is to proceed with the utmost caution. If you want to be certain that your home does or doesn’t contain asbestos, then you can have your walls tested. There are both DIY and professional test available. 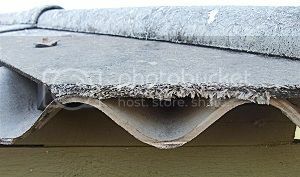 While most people are aware that asbestos is found in insulation, did you know that it can also be present in other home construction materials? It is commonly found in steam pipes, boilers, furnace ducts, cement sheets, resilient floor tiles, shingles, siding, and more. It’s also found in old vehicles – specifically in brake pads and gaskets. The unfortunate reality of the situation is that you probably won’t know if asbestos is disturbed. However, if you suspect that it may have been released in the air – perhaps due to tearing through drywall – then a calculated response is necessary. For starters, you should immediately use a respirator to avoid breathing in the fibers. Next, you should seal off the affected area to prevent fibers from traveling to other areas of the home. It’s also smart to cut off the HVAC in order to kill airflow. Remove your clothing and leave it in the affected area and then call a professional to assess the situation. A professional can determine if there’s an exposure risk and take any necessary action. Should the professional determine that the area needs to be cleaned, he will use a respirator, HEPA vacuum, and disposable clothing. It may seem like overkill to have an evacuation plan for asbestos, but it’s better to be prepared than to end up with a health crisis on your hands. With this being said, an evacuation plan is a smart idea. An evacuation plan should account for multiple exit points and a plan of action for gathering important items – such as keys, clothing, and more. Generally speaking, you can use the same evacuation plans for things like natural disasters. After exiting your home, you should get in contact with the appropriate parties. They have all of the right equipment to handle the situation. Never personally reenter the home until the issue has been identified and fixed. The likelihood of asbestos entering your home and harming your family is quite low. However, in homes that were constructed prior to 1980, it’s entirely likely that asbestos is lurking behind walls. Therefore, being prepared is a smart decision.